An elegant side-gusseted Lazy-Man shoe with leather faux-lacing and punched cap-toe. This makes for a refreshingly different choice to a formal dress shoe. They come with leather soles, Blake Stitched for durability & comfort. 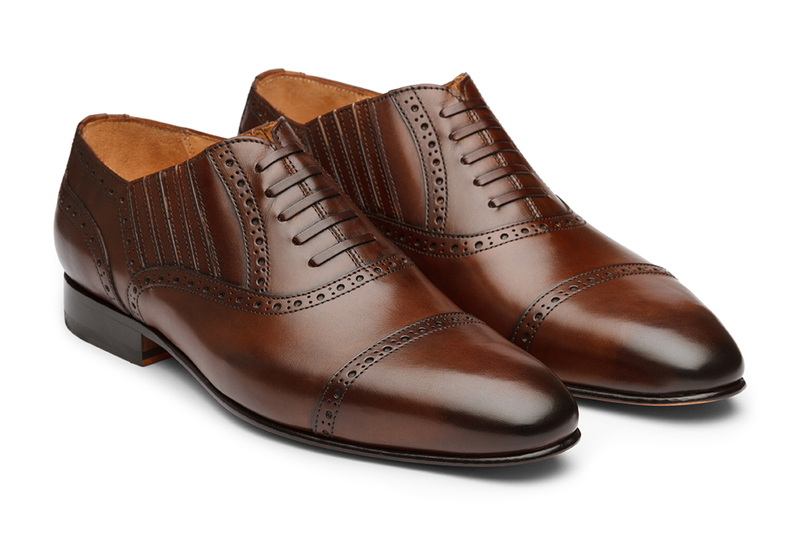 The rich burnish hand painted brown adds the right spark to your shoe range.